Delia Temple: I must say, my youthful aspirations had nothing to do with becoming the Sarah Bernhardt of Delrona Beach. We adjust. Interesting, multi-faceted story of the lives of folks on Florida's Plantation Island. Many compelling characters populate this film: some sad, some funny, all very real. Great cast includes Edie Falco (The Sopranos), Angela Bassett, Timothy Hutton, James McDaniel, Alan King and Mary Steenburgen. 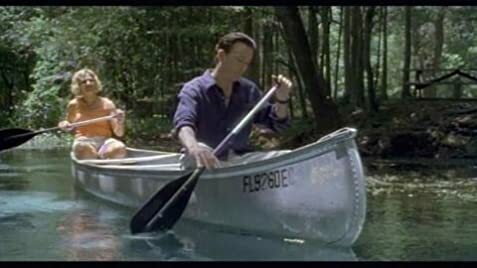 Writer/director John Sayles seems (in my view) incapable of making a bad film. As with all filmmakers, some are better than others. This one falls somewhere in the middle. Sayles has made such excellent films in the past: Eight Men Out, Matewan, Lone Star, and Limbo (to name a few), that when he simply makes a good film it can somehow seem a bit disappointing. 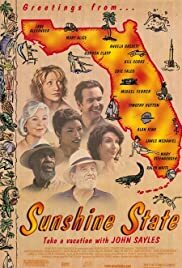 Certainly not for all tastes, Sunshine State impressed me, and I give it a 4 (out of 5).